The solution is simple, many Microsoft Windows users opt for later activation of Windows, this is also possible offline. This sample is not only suitable for Windows 10 Desktop PCs or Surface Pro and Go, it is also for administrators in example for offline servers, such as Server 2016/2012, which are part of a security offline area / department. 1.) ... Enter a new product key in Windows 10 via slui-3! 2.) ... Change the product key over command prompt (Windows-10 cmd.exe)! 3.) ... Enter a new product key in excess of Windows-10 System! 4.) ... Activate the Windows-10 offline, over Phone-System! 5.) ... If you can not activate the operating system! See also: ► ... where is the Experience Index in Windows 10! 1.) Enter a new product key in Windows 10 via slui-3! Please start the cmd.exe in administrative mode (Windows+X) and enter the command SLUI 3. And enter a new product key for Windows-10. (Image-1) Change the Product-Key via cmd slui 3 in windows 10! 2.) 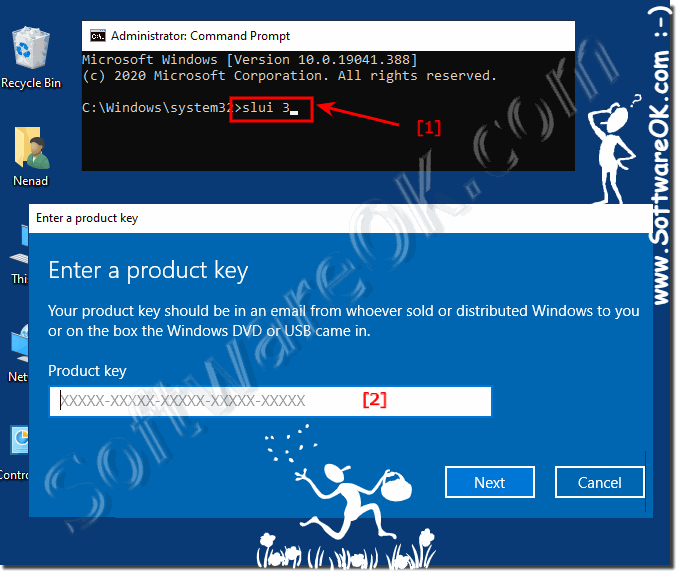 Change the product key over command prompt (Windows-10 cmd.exe)! (execute= Press [ENTER]) (... see Image). To activate windows after changing the key: slmgr.vbs -ato (... see Image). 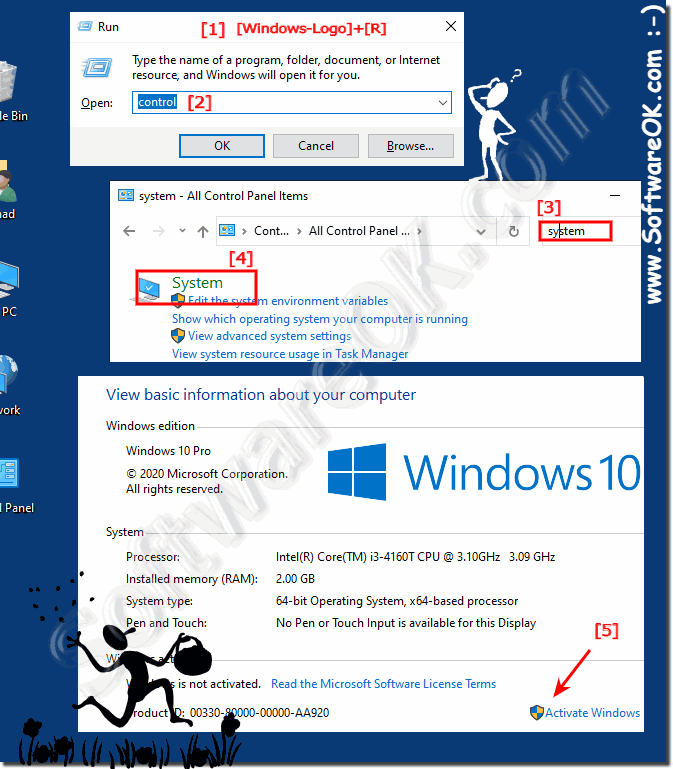 (Image-2) change the Windows-10 activation key! 3.) Enter a new product key in excess of Windows-10 System! Please press the key combination Windows+X and select the option "System". Then click in Windows-Activation the text "Change product key". ► Change product key Windows-10 Redstone 4 or 5! 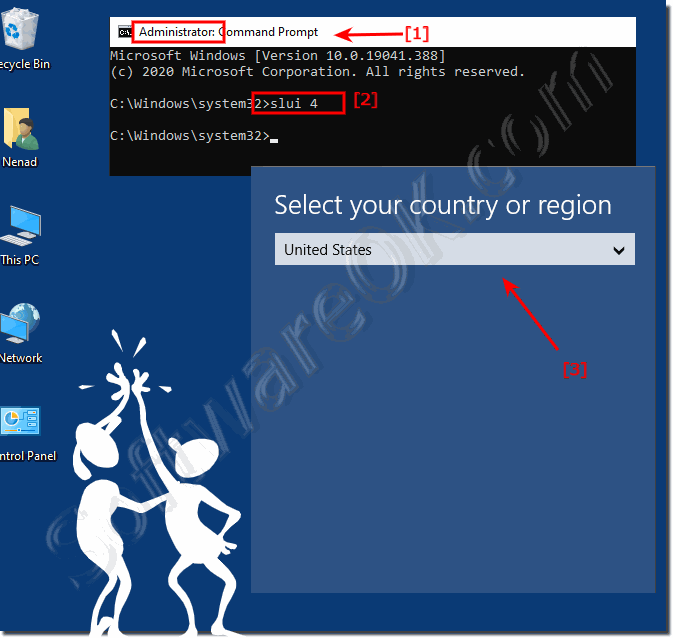 (Image-3) Change product key via windows System! How to Change product Key on Windows-10 Redstone 4 and 5! (Image-3a) Change Key Product Windows-10 Redstone-4-5! 4.) Activate the Windows-10 offline, over Phone-System! (Image-4) Activate Windows-10 via phone system! 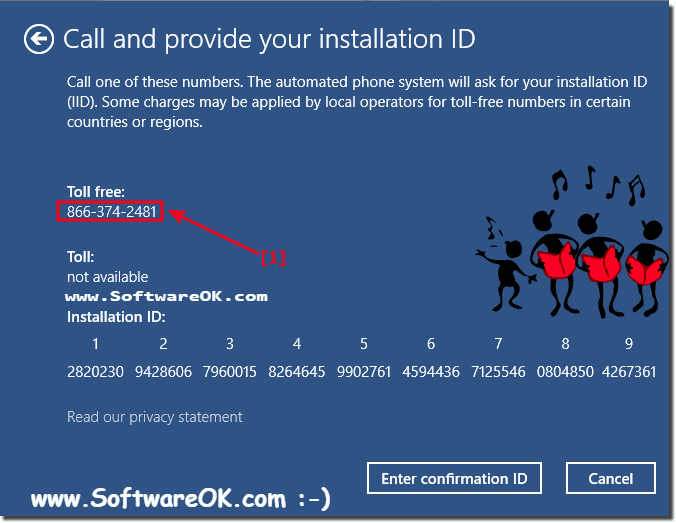 (Image-5) Free Phone numbers for Windows 10 activation! 5.) If you can not activate the operating system! "The code is not recognized"
You entered the code incorrectly. Just call here and re-enter the code, this time without any errors! Your activation key is not appropriate for the version of Windows that you want to enable (for example, when you try to enable Pro through a Home key). In this case, you must first obtain or purchase a new Activation Key for Windows that is appropriate for your system. Your activation key is already merged into the internet, Microsoft has blocked the key. The solution is simple, write to Microsoft and get a new key! here there is a possibility that the problem in activating this computer, with the Windows 10 Device Manager can be fixed. Just turn off some devices. Most of the time it helps to temporarily disable the network adapters and sound cards. After activation you can reactivate it. As you can see Microsoft opens here to the standard user and administrator various possibilities of Windows activation these combinations are available on the following operating systems Windows 10 (Redstone 4 & 5), 8.1, 8, 7: Pro, Home, Enterprise, Basic, Premium, Professional, Starter, Ultimate, Windows-Server 2016, 2012, 2008 and may can be started at any time and any place on this world. 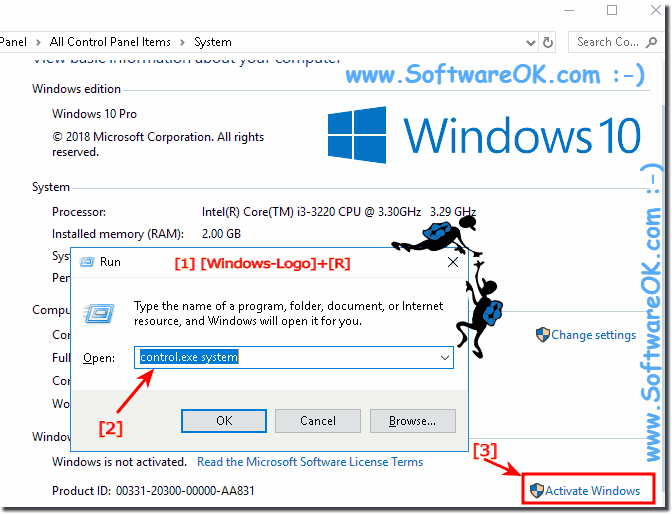 Windows-10 - FAQ-44: Change product key in windows 10 for a new activation of Win-10, how-to?